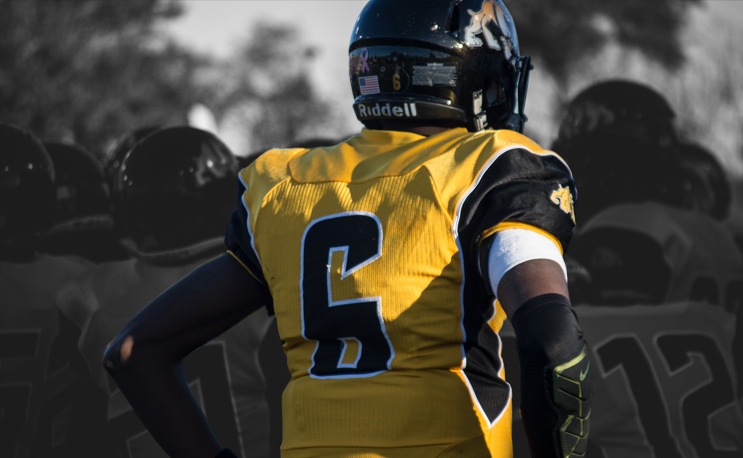 Bowie State’s Amir Hall will compete for the National Team in the NFLPA Collegiate Bowl on Saturday, January 19. Bowie State quarterback and recent graduate Amir Hall will play in the eighth annual NFLPA Collegiate Bowl on Saturday, January 19. The Collegiate Bowl game will feature 112 of the best draft-eligible seniors in college football. The athletes are split into two groups: the American team led by former Indianapolis head coach Chuck Pagano, and the National team led by former NFL player and coach Mike Tice. Coach Tice will lead Hall and the National team alongside Pro Bowl QB Gus Frerotte, slated as the offensive coordinator and former NFL QB Akili Smith as the quaterbacks coach. Hall is one of three quarterbacks featured on the National team and is the sole HBCU representative in the Collegiate Bowl. His senior season ended with 4,152 passing yards, a CIAA championship, a NCAA D2 home playoff win and the most successful season in his school’s history. He won his second consecutive HBCU National Player of The Year award and he was one of the top-five passers in college football for the 2018-2019 season. Hall and the rest of the participants will spend the days leading up to Saturday’s game learning the business aspect of football from professionals and former NFL players. Come Saturday, it’s time to put on a show for not only fans, but an audience of nearly 200 scouts, player personnel, general managers and head coaches. The game will be held at Rose Bowl Stadium in Pasadena, California. Kick-off is scheduled for 5 PM EST and will be aired on FS1. Three big things that could make it a perfect weekend for Amir Hall.